Sony kicked off IFA 2009 with a press conference on Wednesday. But the biggest (and busiest) day of the consumer technology show is the press day - today. All of the big players in the consumer electronics business are lined up to announce their new products and technologies for 2009/2010. Panasonic tells us that it's IFA 2009 slogan is 'revolutionary technology' and its line-up includes full HD TVs, digital cameras, Blu-ray decks and HD camcorders. The Panasonic stand is dominated by a 3D Cinema Experience area, emphasising the company's commitment to 3D technology and 3D TVs. As for current-generation televisions, Panasonic will be demoing the 85-inch TH-85PF12U, plus the new VIERA Z1, V10, G10, and G15 NeoPDP HDTVs. The world's first portable Blu-ray Disc Player (the DMP-B15) will also be on show alongside less glamorous (but worthy) energy efficient fridges and washing machines. Samsung: New 400Hz HD TVs? Other potential launches from Samsung could include: AMOLED HD TVs, P-Series digital photo frames (with LED displays) and the Tegra-powered YP-M1 portable media player. The Philips press conference on Thursday will be given by Andrea Ragnetti, the CEO of the Consumer Lifestyle division. So far, Philips has pre-announced the BDP7300 Blu-ray player; HTR9900 HD AV Receiver and its Cinema 21:9 LCD HD TVs, including the 9700, 9664 and third-generation Aurea (with love it/hate it lightframe). According to Sharp, its motto for IFA 2009 is 'High Technology and Super Green'. "The new AQUOS LCD TVs with full LED backlight are the focus of the current campaign," Sharp says, "as are our extensive environmental activities... We have included detailed graphics and background information that explain how LED backlight technology works and also what the benefits of this technology are." Like many of its rivals, LG is investing heavily in new screen technologies. It's almost certain that LG will show off a 15-inch AMOLED TV - the largest organic LED set commercially available. While rumour has it that a 40-inch OLED set will be showcased. LG is also keen to show its leadership in cool home appliances, tying its products together under a banner of: "Upgrade Life for You and Your Family." So alongside new HD TVs and Blu-ray players, expect to see smart washing machines, light wave ovens and the new Roboking, LG's latest robotic vacuum cleaner. With the recent news that Toshiba had applied to join the Blu-ray Disc Association (BDA), there's a small chance that we might see a Toshiba Blu-ray deck at IFA. If that's too much to hope for, then we might catch a glimpse of Toshiba's Cell TV, which was on show at CES. The Cell-based HD TV will be capable of supporting up to eight HD feeds at once on a single screen. 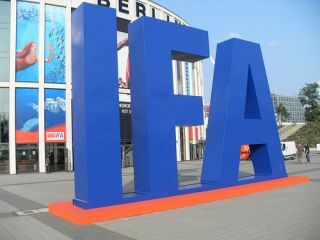 With a 2009 release date pencilled in, IFA 2009 would be an ideal publicity opportunity.